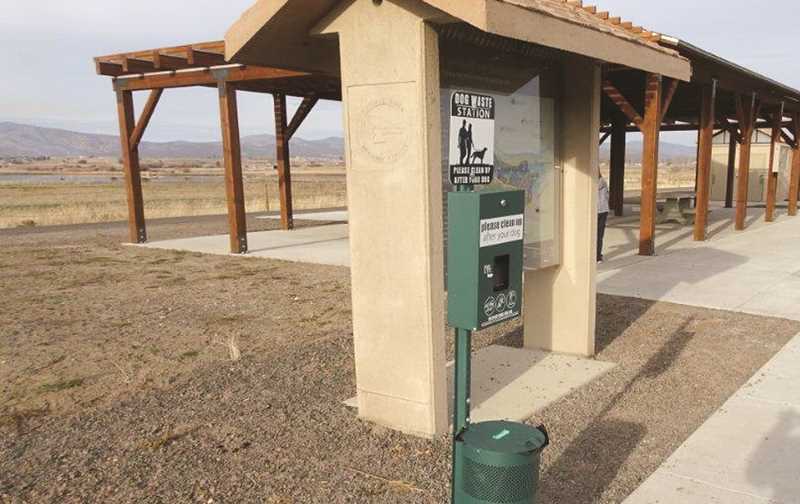 Following passage of a new city ordinance Tuesday evening, dogs will now be required to be on a leash at the Crooked River Wetlands Complex. Leash regulations for the city-owned Barnes Butte property, meanwhile, are yet to be determined. City councilors unanimously approved an ordinance that amends a portion of the city code regarding dogs. That amendment applies current leash laws to "all property owned, leased or controlled by the city." "We had to update the (existing dog) ordinance because how it was in the past, it only listed specific parks," explained City Engineer Eric Klann. "Crooked River Wetlands wasn't included. The Barnes Butte area wasn't included." The city has fielded numerous complaints in recent months, some as recently as this past week, from people who have either encountered dog messes at one of the two locations or faced unrestricted dogs that either attacked them or the dog they were walking. Such complaints compelled the city to act, although Klann did so reluctantly because he had hoped to keep regulations on the new city parks as lenient as possible. Once news of the proposed amendment went public, another group of people pushed back, urging local officials to reconsider leash requirements on the Barnes Butte property. "I like to get away from the people and let my dog run. I have her under control, and if I see other people, I put her on a leash," said Prineville resident John Rounds. "There are a lot of us people who do that, and we would like to be able to keep doing that." In response to Rounds and others, City Attorney Jered Reid pointed out that the new ordinance as written actually provides city officials the latitude to determine leash laws on a park-by-park basis. Klann said that based on the feedback he has received, the city will absolutely require dogs on leashes at the wetlands but will consider designating certain areas for off-leash dogs on the Barnes Butte property. "My plan is to take this issue to the Barnes Butte Focus Committee," he said, noting that the group meets every fourth Tuesday at City Hall from 4 to 5 p.m. "If people want to come and give us their input, please feel welcome. What we will need to do is identify certain areas of Barnes Butte that could be off-lease and certain areas that need to be on-leash." Meanwhile, work is planned for the next few months on a Barnes Butte property master plan that Klann said will help them better define how to manage the dog leash issue.